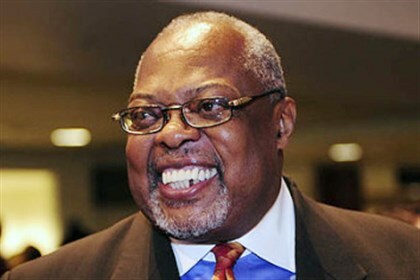 In the 1960s, Sala Udin worked to register black voters in the South. The Post-Gazette notes that, after decades of public life in Pittsburgh, he "is known for fighting racial discrimination, serving in city council for 10 years, co-founding the New Horizons Theater and the House of the Crossroads drug treatment program, and championing the August Wilson Center. But he is also known as a man convicted of carrying an unloaded, unlicensed handgun, robbery, receiving stolen goods, illegal transporting firearms and untaxed distilled spirits. Udin was eventually given a five-year sentence in federal prison, but was paroled after only seven months. The state convictions were pardoned by the governor, in 2007 (after Udin submitted an application in 2004). In 2012, Udin submitted a pardon application to President Obama. The Gazette supports the federal application, but recognizes it is a "long shot" because of Obama's "reluctance to dispense clemency."